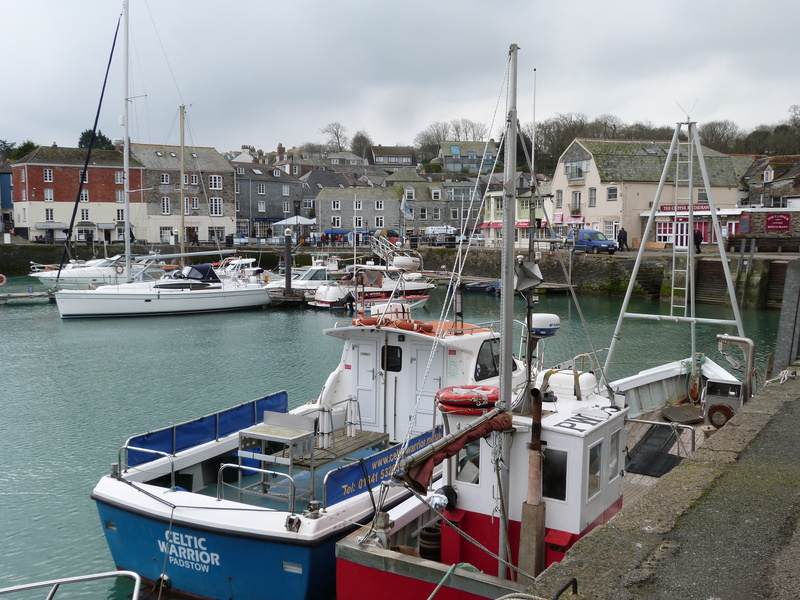 Padstow is fantastic for walking all year round there is always something new to see and marvel at it is a little piece of paradise! 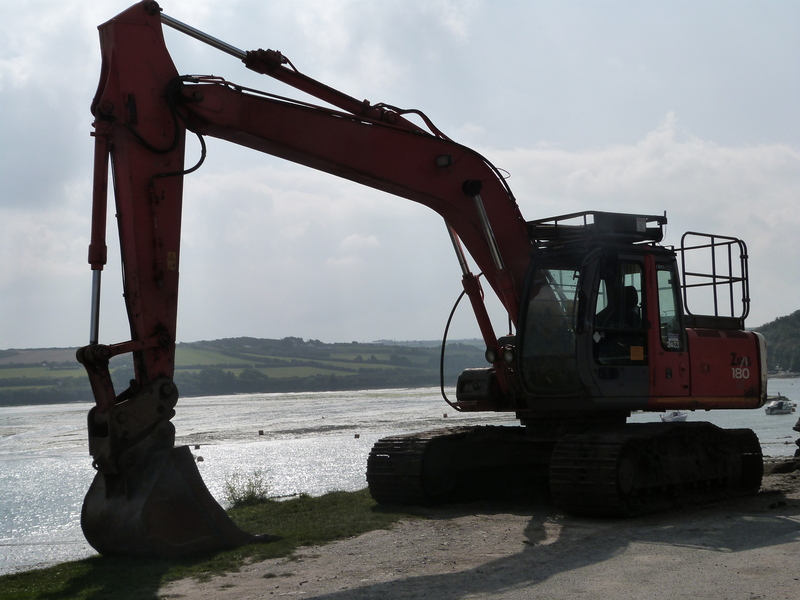 I love this digger parked on the edge of the Camel Estuary in Padstow right at the beginning of the Camel Trail, it was there for ages unattended, my grandson loved it and wanted to get up into the cab! 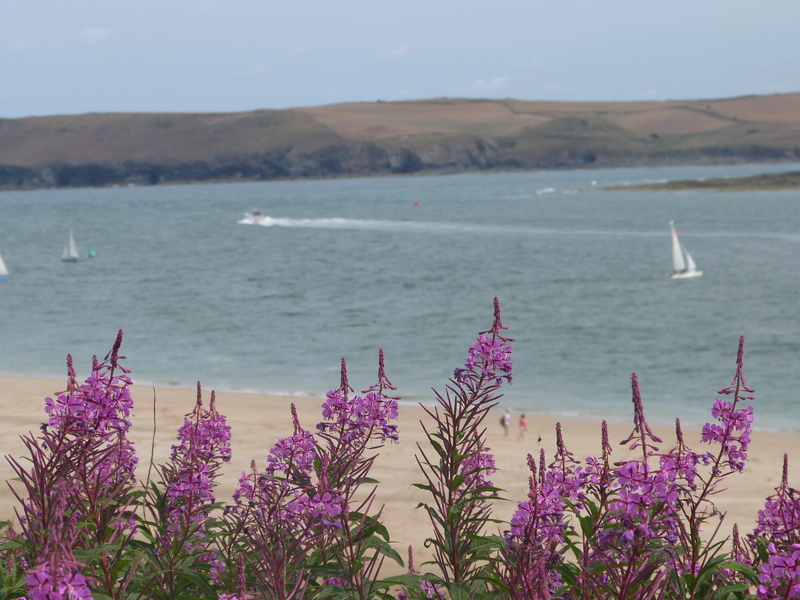 A walk through Padstow up past the War Memorial and beyond towards Stepper Point and Hawker’s Cove is an amazing scenic feast, look back over Padstow and Rock and the stunning Camel Estuary, these beautiful wild flowers were such a pretty sight! Boats, boats everywhere in Padstow and Rock! 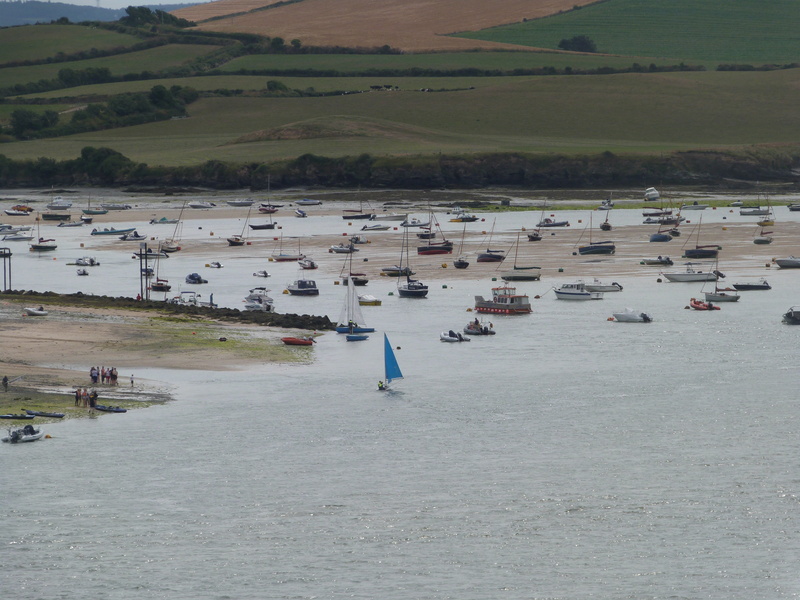 This is the fabulous view of boats on the Camel Estuary from my 4 star Gold holiday rental accommodation, Little Egret! 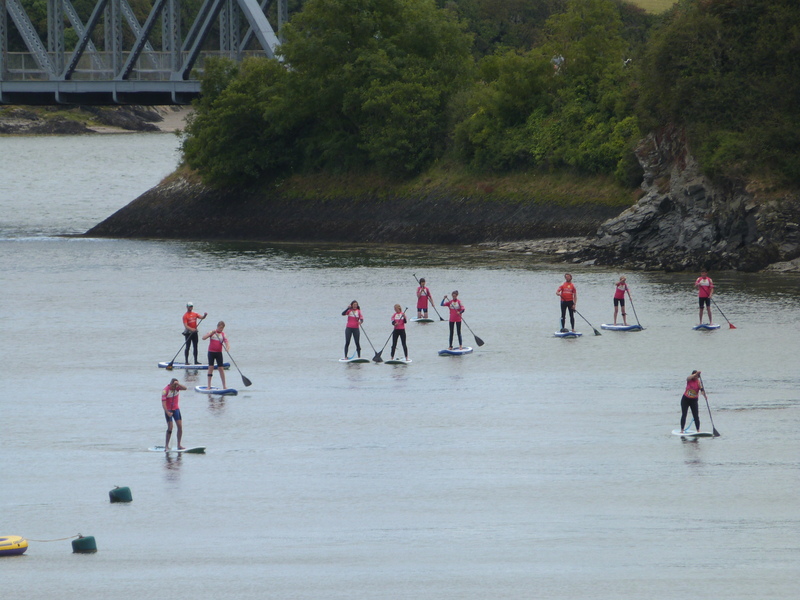 Mad fools going nowhere on paddleboards! Again viewed from Little Egret balcony! 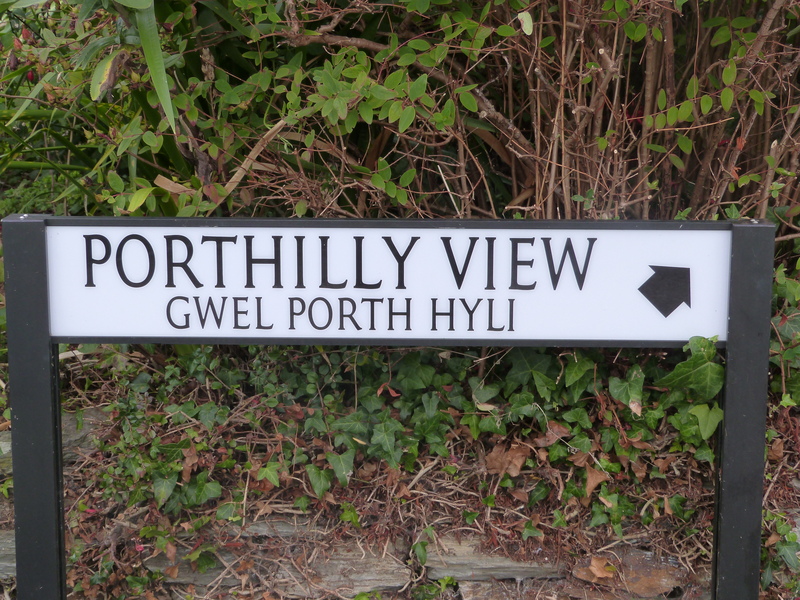 Porthilly View road sign now in Cornish! I wonder what Little Egret is in Cornish? 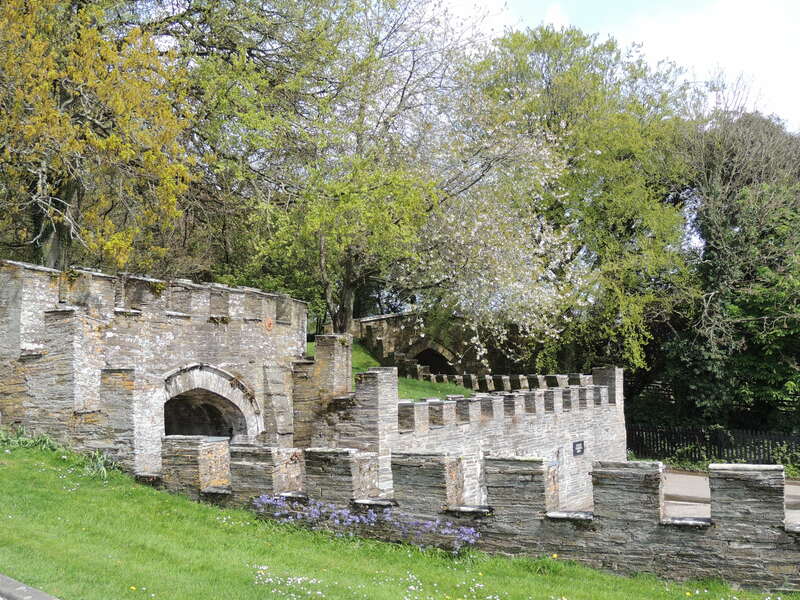 We have had some glorious sunny days in Padstow in July and we have been out and about enjoying the sunshine and beautiful views on walks through Padstow and beyond. 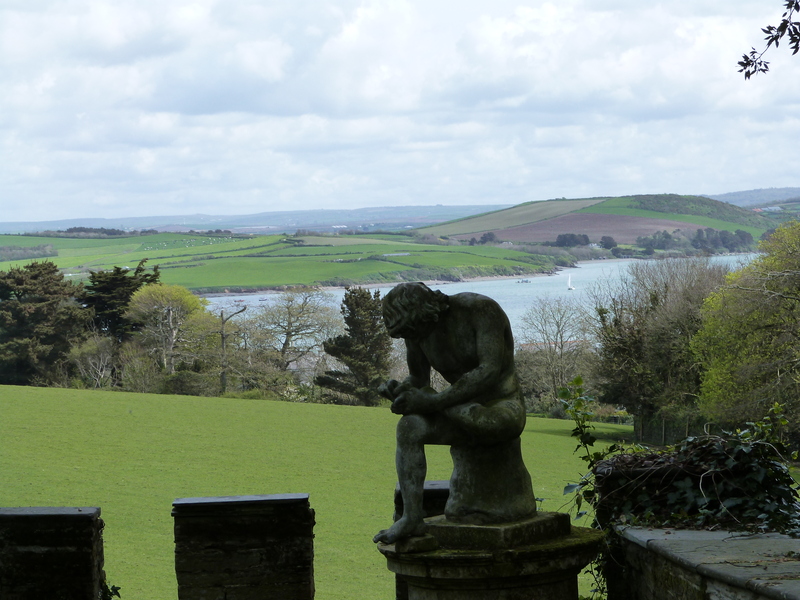 We walked up to Prideaux Place and there were loads of deer in the park opposite the house so we managed to get some good photos, and one of the statue looking out to the estuary. With a houseful of hungry adults and children I decided to make a traditional Cornish cream tea with homemade scones but alas my scones turned out rock hard and not at all nice, they reminded me of my mum’s rock cakes when I was a child, something to sneak to the dog or keep until you could go and feed the poor unsuspecting ducks! 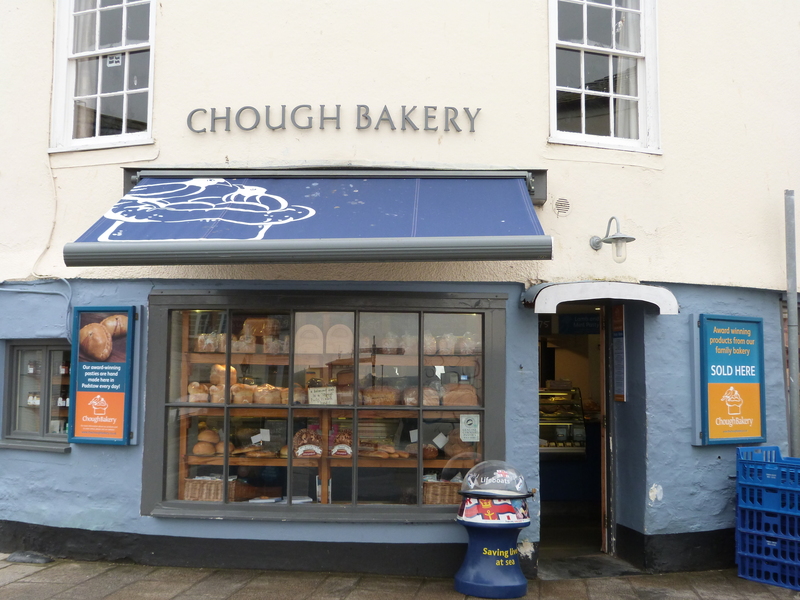 Off I went to Chough Bakery in Padstow they make delicious scones as well as lovely bread, they supplied all the bread for my daughter’s wedding! Whilst in the shop I saw a saffron cake which apparently is a Cornish bread/ cake made with currants and of course saffron, so I bought one to try. The saffron cake was very nice but could have done with a few more currants for my taste, so I am now on a mission to find a really good recipe for saffron cake. My daughter’s Cornish mother in law apparently has a good one which was passed down by her family, so I’m hoping that this is going to wing its way to me and then look out for my next Padstow blog and hopefully you will see my homemade attempt at a saffron cake! 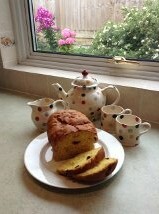 Does Rick Stein have a recipe for saffron cake maybe on his blog? I will have to look or maybe Nathan Outlaw, Paul Ainsworth or Jamie Oliver who all have restaurants in Cornwall might have a saffron cake recipe? I have had numerous recommendations to try the tiny Rest a While Tea Garden in Hawker’s Cove, apparently the homemade cakes, the sea views and the service are excellent, it sounds like my sort of place. Trip advisor www.tripadvisor.co.uk ranks it very highly and the reviews are outstanding, I must go! 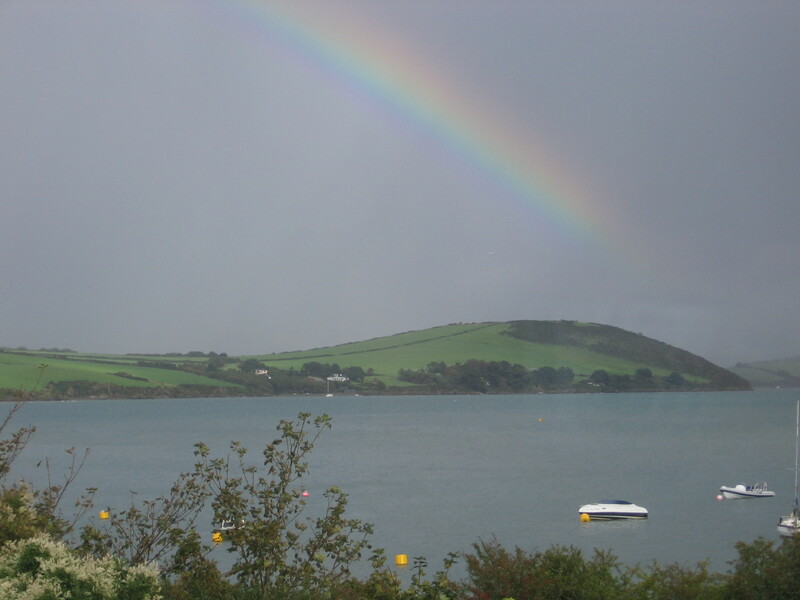 I will put it on my Padstow blog for August with some photos of the food and the views!! Granny Margery Reader aged 99 has enjoyed many holidays in Padstow since she was a little girl. 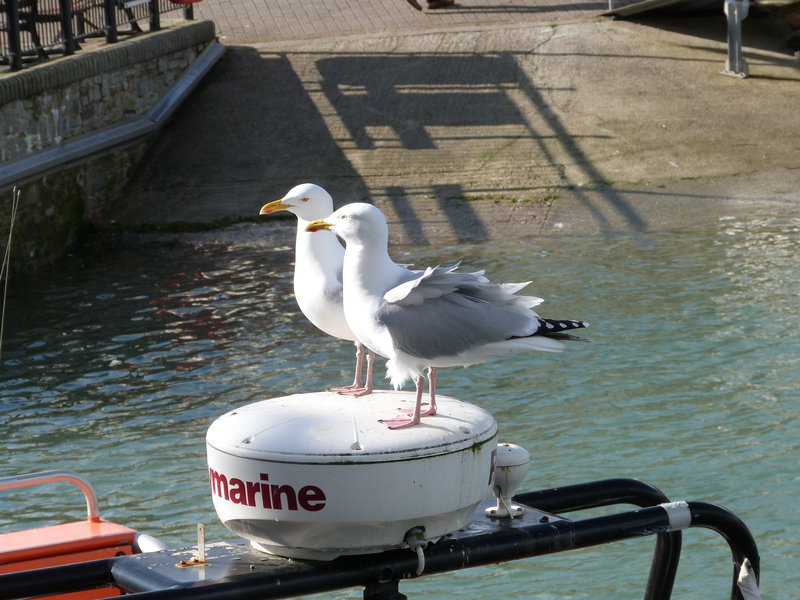 What does she like about Padstow? We went to the annual Obby Oss celebrations on May day for the first time, we absolutely loved it all! What a spectacle and such fun, everyone was in a joyous mood, the whole of Padstow erupted with a fanfare of dance and music, you can’t get the beat out of your head for days! 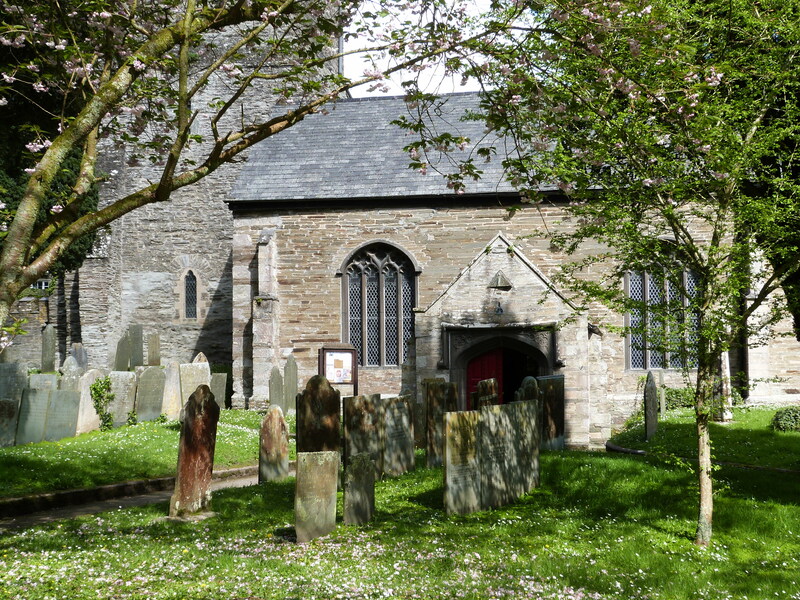 No-one seems to know or care where the actual origins of the Obby Oss come from some say it is a pagan rite to welcome the Spring, others that it is a fertility celebration. Just go and have fun! 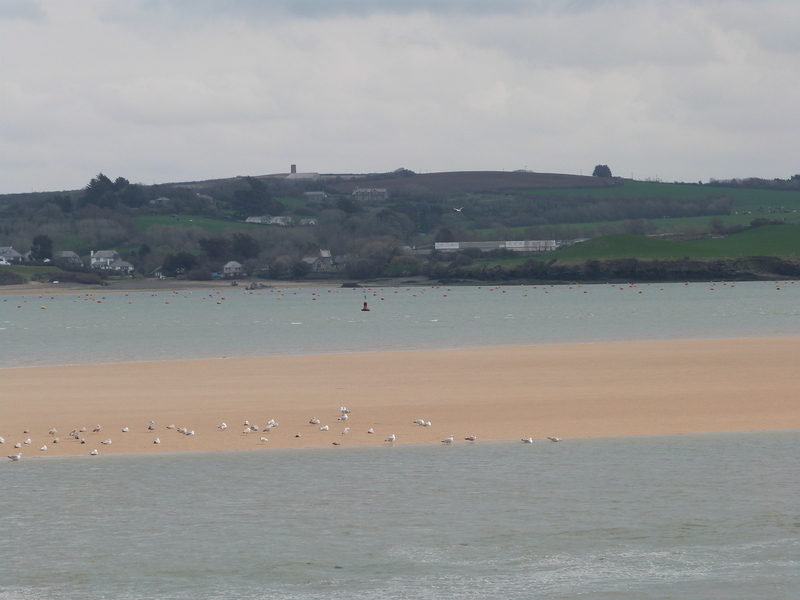 Padstow looked beautiful in May as it does all year round. 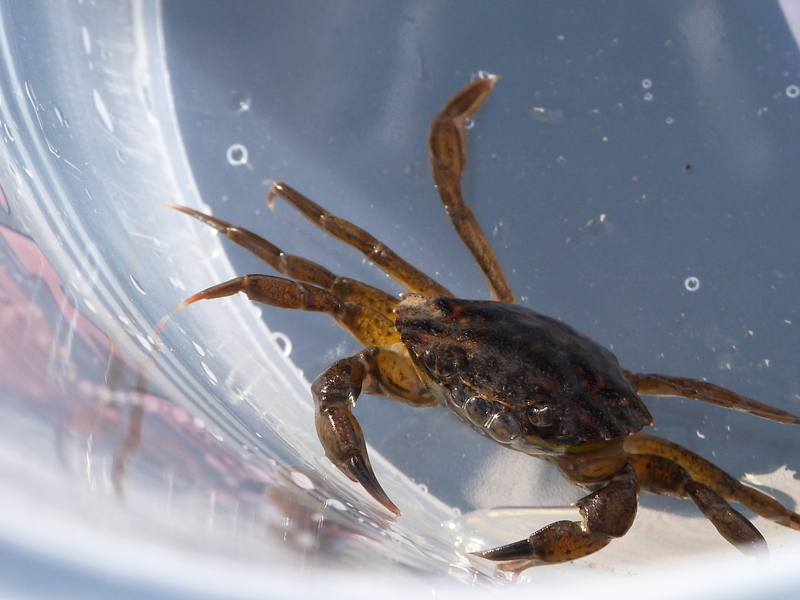 We cycled on the Camel Trail to Bodmin and back and had lunch at Rojano’s which was delicious. 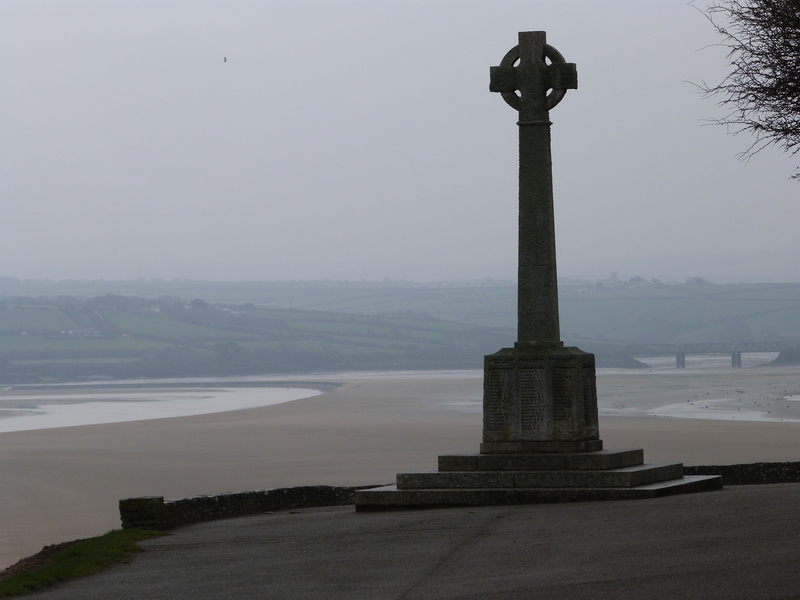 We waked off the lunch up to Padstow church and then up the hill and down into town and up to the war memorial and sat awhile admiring the views from a bench..lovely! We spent a very enjoyable Easter in Padstow the weather was mixed with squally showers and sunshine, we got out and about and took waterproofs with us! We walked through Padstow which was bustling with activity from children crabbing on the quayside to families pottering around the many interesting shops or taking a leisurely stroll round the picturesque harbour, and of course the distinctive boxes of Rick’s fish and chips were everywhere and the portly seagulls looked on hopefully! 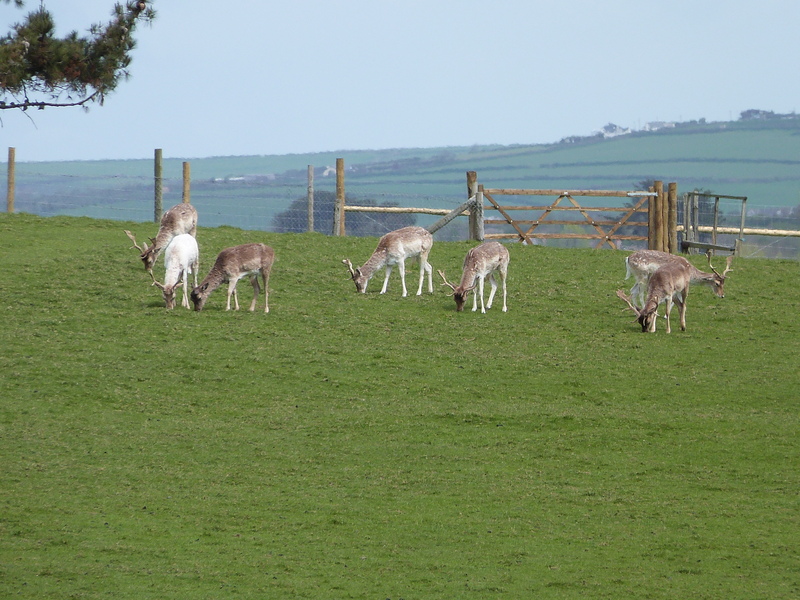 Padstow is wonderful for walking we took one of our favourite walks up past Prideaux Place where you can see the deer in the park and then down through the fields towards the war memorial. 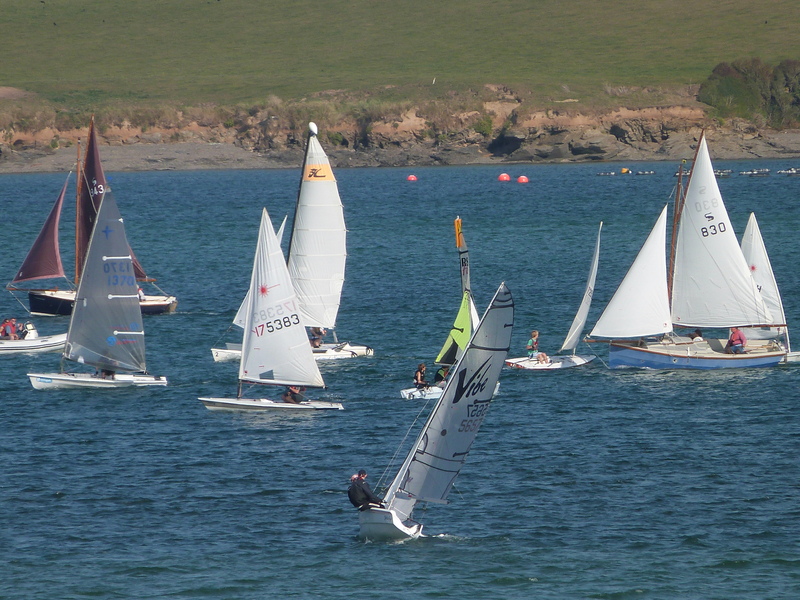 Suddenly as you descend there is the most spectacular vista of sparkling water and yellow sand of the estuary, magical! We cycled on the scenic Camel Trail, it doesn’t matter how often we cycle along this beautiful path we always marvel at the beauty of it. The trail runs alongside the estuary and is truly beautiful whether the tide is in or out, you can see hundreds of wading birds on the sands when the tide is out including Little Egrets! To round off the perfect Easter, the guests staying at Little Egret wrote very complimentary comments in the Guest Book about their stay and will be returning.